The chances of having dark circles under our eyes increase as we get older. However, it can also occur at an early age. Dark circles under eyes are often hereditary and can affect both men and women. This condition tends to worsen as we age since the skin tends to thin out and lose subcutaneous fat. Thus, exposing the reddish-blue blood vessels around that area. Major causes of dark circles under the eyes include; stress, exhaustion, aging, skin irritation from cosmetics, nasal allergies, fatigue, pigmentation irregularitis, hay fever, as well as repeated itching and rubbing around the eyes. Other factors that can increase the likelihood of having dark circles under the eyes include; consumption of alcohol, hormonal imbalance, tobacco smoking and pollution. Eat foods rich in vitamin C as vitamin C helps in collagen production. Take collagen-producing foods and supplements. Ensure you include foods rich in vitamin C, iron, amino acid, and copper in your diet. Avoid excess salt in your diet. This is because sodium can retain water under the skin which could lead to puffy eyes. Stop using harsh makeup removers as they tend to irritate under the eyes. Strive to get more restful sleep as inadequate sleep is a major cause of dark circles under the eyes. Reduce your consumption of alcohol as alcohol is a major cause of skin dehydration. Drop the bad habit of smoking cigarettes. Smoking damages your skin and is a major risk factor for dark circles under your eyes. Ensure you drink an adequate amount of water as being hydrated helps eliminate dark circles under the eyes. 1. Milk will help you reduce your dark circles because it’s choke-full of nutrients. More specifically, milk is rich in amino acids, antioxidants, enzymes, proteins and lactic acids. Together, these nutrients work to strengthen skin, as well as rejuvenate skin that has been worn down and damaged. In order to help with dark circles, you can make a cold compress out of milk. This would have the added effect of reducing the puffiness of your eyes. You could also put cotton balls in cold milk (refrigerate for at least an hour) and then hold them over your eyes until the cotton balls get warm. 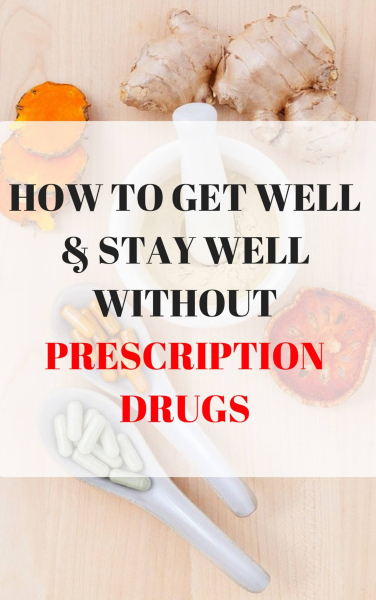 In this second alternative, the remedy could be done three or four times a day. 2. Tomatoes: A very potent remedy. Tomatoes are considered to be a kind of miracle vegetable because they contain lots of nutrients, including the skin-friendly bioactive constituent called lycopene. Tomatoes have also been associated with reducing the risk of cancers. Aside from their medicinal (and culinary) benefits, they’re also a great home remedy for eliminating dark circles. Mix tomato and lemon juice together and apply the concoction around your dark circles, and wash it off with cold water after waiting for ten minutes. Repeat this procedure twice a day for optimal effects. Note that this remedy can sting a little so, if you’re a little sensitive under the eyes, add a little rose water to the mixture to soften its sting. 3. Kalonji oil has got your back. Kalonji, or black seed oil, has antioxidant attributes and fights against inflammation, so it’s used for many skin properties. Mix a few drops of the oil with about half a teaspoon of honey, then apply the solution underneath your eyes. Rinse it off after ten to fifteen minutes. 4. Crushed mint leaves are here to save the day. If you crush mint leaves, then mix them with water— creating a smooth kind of paste in the process — you’ll have a great home remedy for dark circles. Be sure to leave it in place underneath your eyes for ten minutes, before washing it off with cold water. The leaves work because of the vitamin C they contain, as vitamin C is effective at improving skin strength and rejuvenating skin in general. 5. Grapeseed oil is ideal for eliminating dark circles. Grapeseed oil is effective at eliminating dark circles under the eye because of its powerful, anti-inflammatory flavonoids. Take a few drops of the oil and gently apply them to the area under your eyes, then give it some time to be absorbed by your skin. Use this remedy two times a day. 6. Rosehip tea is a helpful remedy. This rosehip remedy will be effective after two or three weeks if it is done properly and regularly. Use rosehip tea as a remedy by combining it with lavender oil and lemon essential oil. Then, apply the mixture to the area below your eyes, and leave it there overnight. 7. Honey is also good at getting rid of dark circles. Honey, particularly organic honey, is ideal for eliminating dark circles because of the nutrients it contains, which include antioxidants. These nutrients nourish the skin, as well as soften any skin rough texture. If honey is correctly applied —that is, a thin layer underneath the eyes, which is rinsed off after fifteen to twenty minutes— dark circles will disappear in a short period of time. 8. Cucumber slices are just as good as TV makes you think they are. Turns out, cucumber slices placed over the eyes are just as effective as TV and movies make it seem. Specifically, they’ll help you with your dark circles —as well as lighten your skin tone, improve circulation, and reduce puffy eyes— if you place cool slices on top of your eyes and keep them there for about a quarter of an hour, twice a day. After the time has elapsed, use lukewarm water to wash over the area. Alternatively, you can extract the juice from a grated cucumber (use a small cucumber). For this alternate remedy, refrigerate the juice, then, when you’re ready to use it, use a cotton ball to apply it underneath your eyes. Wait fifteen minutes before you rinse it off. You can even mix equal parts cucumber and lemon juice, again applied with a cotton ball and left underneath your eyes for fifteen minutes, if you prefer. 9. Aloe vera gel will help you eliminate dark circles. You can buy this gel as is at your local mall or you could extract it from an aloe vera leaf. This remedy works because aloe vera has soothing and hydrating properties (hence why it’s also used for burns). It also makes sensitive skin stronger and less vulnerable. To use aloe vera gel, use a cotton pad to apply the gel underneath your eyes, then rub it around for a few seconds. Make sure the gel stays on for no more than 15 minutes, then clean it off with a moist cotton pad when you’re done. Do this twice a day; once during your waking hours, and again right before you go to sleep. 10. Olive oil is effective for dark circles. Olive oil has numerous nutrients, including antioxidants, anti-inflammatory constituents, and hydrating fatty acids. Using virgin olive oil is preferable. You can even add a bit of turmeric to the oil if you like. Massage the oil into the space below your eyes —be sure to do so with circular movements— before bed, and then leave it to get absorbed and rejuvenate your skin while you sleep. 11. Baking soda will aid you with your dark circles. Baking soda is helpful because of its soothing and anti-inflammatory properties. As such, not only will it help you get rid of your dark circles, but it will also help improve the flow of blood in the area under your eyes. Baking soda can be used for dark circles via cotton pads; thoroughly mix the baking soda into water, then soak the cotton pads with this substance. The pads must then be placed over your eyes for no more than a quarter of an hour. 12. Peeled potatoes will reduce puffiness in addition to lightening dark circles. To use this starchy vegetable as a home remedy, put two potatoes in the fridge for an hour, then peel and grate them so that you can extract the liquid. 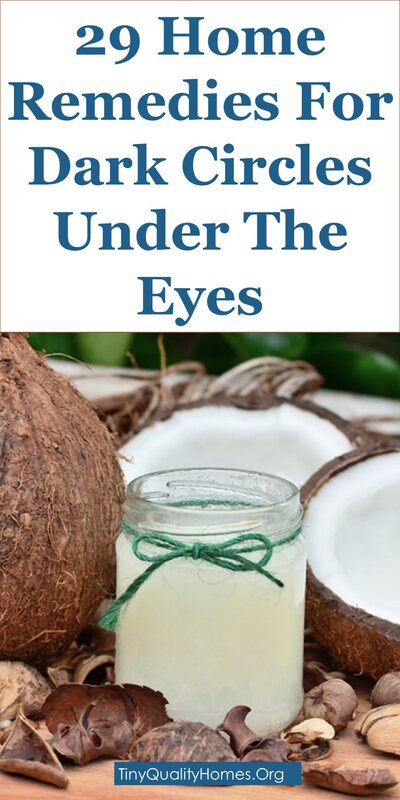 Apply this juice to the area under your eyes with a cotton ball —be sure to do so right before you go to sleep— and then leave it on during the night. Wash everything off with warm water when you wake up in the morning. 13. Argan oil eliminates dark circles. You might know that argan oil can help strengthen hair, but maybe you didn’t know that it’s also effective for dark circles. This is because it’s full of antioxidants, as well as vitamin E, which means that it will rejuvenate and replenish your skin. To use this argan oil remedy, place a few drops of argan oil on your finger, and then rub it underneath your eyes. Tap the area gently, so that the oil can be better absorbed into the skin. Instead of rinsing it off, leave it for the oil to be absorbed by your skin. Finally, be sure to use this remedy at night-time, before you go to bed. 14. Petroleum jelly is also an effective home remedy. Petroleum jelly will help you with your dark circles because of its ability to retain skin moisture. Simply take a little bit of lemon juice, an even smaller bit of petroleum jelly, and mix them together. Apply to the area underneath the eyes, wait for an hour, and then clean it off with tissue paper. Then, rinse off with cool water when you’re done. 15. Saffron will assist you in getting rid of dark circles. To use this remedy, soak saffron in milk, and apply the mixture to your eyes with a cotton ball. After ten to twelve minutes have passed, rinse everything off with cool water. 16. Eliminating dark circles is one of the benefits of coconut oil. Coconut oil is effective for improving the health and strength of your skin, including the skin below your eyes. As such, coconut oil would help eliminate dark circles. You can use coconut oil (preferably virgin coconut oil) by patting your dark circles, gently massaging a few drops of coconut oil into the area, and then leaving it on the skin when you sleep at night, rather than wiping it off. This only needs to be done once a day, so be careful not to overdo it. 17. Green tea is good for your face, not just your body. Green tea bags are full of potent bioactive tannins and antioxidants which is why they’ll help you reduce puffy skin, swelling, and dark circles under your eyes. You can use this remedy by boiling two bags of water for ten minutes, then placing them in the fridge for about thirty minutes. Once they’re chilled properly, place them over your eyes and wait a quarter of an hour. This remedy is most effective if used twice a day. 18. Licorice extract can be a life-saver. Licorice extract —using 3 or 4 drops— will help you with dark circles if you mix it with the powder found in vitamin K caplets. Add some water if the solution is too dry. Once you’ve got a thick paste, apply the paste on your dark circles and leave it there for about ten minutes. The result, aside from eliminated dark circles, would be skin that’s better protected against UVB damage, and the area underneath your eyes will benefit from improved blood flow. The reason for this effective result is the glabridin nutrient contained in licorice. 19. Yogurt and parsley make an effective, albeit unusual, combination. Combine parsley leaves and yogurt for this solution. Crush the parsley leaves so that they can blend in properly with the yogurt. Use this remedy three times a week. 20. Numerous essential oils will help you get rid of dark circles. You can use any number of essential oils to get rid of dark circles. In particular, lavender, rose geranium, fennel, rosemary, and German chamomile essential oils are especially effective. 21. Rose water —water distilled with the essence of rose— is great for dark circles. This is because it has a lot of antioxidants, much like green tea bags. In addition to dark circles, it will help you rejuvenate and strengthen the skin on your face, particularly around your eyes. To use this remedy, apply rose water onto cotton balls, then leave them on top of your eyes for about fifteen minutes. After this period, wash them off with lukewarm water. You’ll get optimal results if you do this twice a day, once in the morning and once at night. 22. Castor oil gets rid of dark circles, too. You can use this castor oil remedy —which is effective because it smoothens the roughness of your skin, as well as rejuvenating the area underneath your eyes— by applying some castor oil onto the dark circle area. Be sure to leave it overnight, that is, don’t wipe or rinse it off. Do this once a day, before you go to bed, for best results. 23. Turmeric assists in making dark circles disappear. Mix turmeric and almond oil together for this remedy. Once they’re properly mixed together, massage the affected area, wait twenty minutes, then rinse off with water or clean your skin with a tissue. 24. Jojoba oil is a good choice. Jojoba oil —derived from the jojoba shrub which is found naturally in the southwestern parts of North America— is effective at getting rid of dark circles. It’s effective because of its skin-strengthening and revitalizing properties. Jojoba oil also hydrates the skin, thanks to the healthy fatty acids it contains. To use this jojoba oil remedy, simply place a few drops below and around your eyes. Massage the area for a while. You won’t need to rinse the oil off since it would be absorbed by your skin. Therefore, it’s best if you do this before bed since the oil will be absorbed into your skin while you sleep. 25. Almond oil is an effective remedy as well. Because it has a lot of vitamins and minerals, almond oil will help you reduce dark circles by lightening the hue of the area around your eyes. It will also help moisturize your skin. You can use it by massaging a few drops of oil into your dark circles before bedtime. In the morning, wash off the oil with cold water; it shouldn’t take too long before the circles disappear. You can also mix the same amount of almond oil into raw honey, then place it underneath your eyes before bed and rinse it off with lukewarm water when you wake up. 26. Apple cider vinegar is always useful. Apple cider vinegar is useful for dark circles because it contains healthy nutrients —vitamins, minerals, and enzymes— which will strengthen and revitalize the skin underneath your eyes. If you use this remedy properly —by applying a Q-tip full under your eyes twice a day, then let the area air-dry, rather than rinsing it off— you will find that your dark circles will disappear within a few days. 27. Kumkumadi tailam is also a great choice. This oil, which is known by some as an “all-in-one solution” for facial remedies and makeup, is made of more than a dozen herbs, combined with black sesame oil and goat milk. Kumkumadi tailam hails from India, land of spices, and contains ingredients such as turmeric and sandalwood. This herbal oil is good at getting rid of dark circles since it reduces blemishes, makes the shade of your skin uniform and even, and improves the overall look of skin in as little as a few weeks. You can use it on your dark circles by massaging it underneath your eyes, then letting it stay there for a few hours. Because it contains so many herbs, it can sting sensitive skin, so you can do a patch allergy test before you try it out. 28. Lemon juice is a big help. Lemon juice will help you eliminate your dark circles because of the vitamin C it contains: vitamin C is an antioxidant, and works to strengthen the skin. To use lemon juice for dark circles, simply apply it on the area with a cotton swab. Wash it off after ten minutes, and use this remedy twice a day. Lemon juice might make your skin dry, so moisturize after usage. You could also apply lemon oil to the dark circles. 29. Fruits are your friend when dealing with dark circles. Eating fruits rich in vitamin C —such as oranges, clementines, strawberries, and pineapples— will help you prevent and eliminate your dark circles. This is due to the fact that they help your body produce collagen, which heals and hydrates your skin.